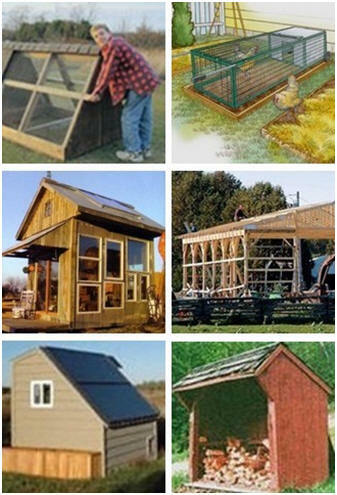 Build your own portable chicken coop, pole barn, greenhouse, guest cottage, solar shed or woodshed with help from illustrated, do-it-yourself guides. Chicken Tractor or Mini Coop Learn how to construct a small, moveable home for chickens with diagrams and step-by-step instructions by Steve Maxwell. Do It Yourself Pasture Pen The Mighty Chicken-Mobile is perfect for backyard poultry enthusiasts who want to keep just a few chickens in a safe environment. 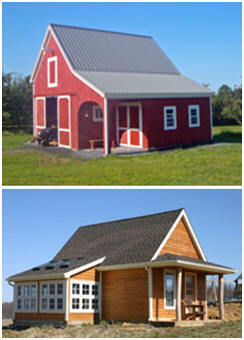 Do It Yourself Pole-Barn Building Learn how to create an inexpensive pole barn as your storage barn, garage, animal shelter or workshop. this illustrated article by Steve Mazwell will show you how. 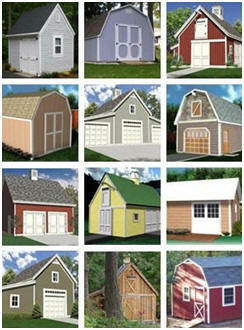 Build a Solar Shed Get solar hot water for your home and extra storage space at the same time. This article from Mother Earth News will show you how. Mother Earth News Magazine is America's oldest and most popular publication on frugal, self sufficient living. They offer informative articles on organic gardening, renewable energy, country living, health, homesteading, food and more. Online, they post back issues and a great variety of expert how-to guides and do-it-yourself projects for the home and garden.